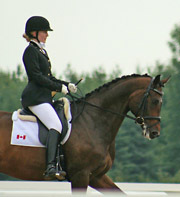 Ute Busse is a successful Canadian Grand Prix Dressage competitor, trainer, judge, and coach. The quality of Ute's coaching and her contribution to equestrian sport has been formally recognized by both our provincial and national federations. 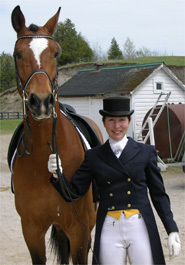 Ute was awarded the prestigious Coach of the Year award, by the Ontario Equestrian Federation in 2011, and Equine Canada in 2012. She was also named as a finalist for the top female coach of the year from amongst all sports by the Sports Alliance Ontario! 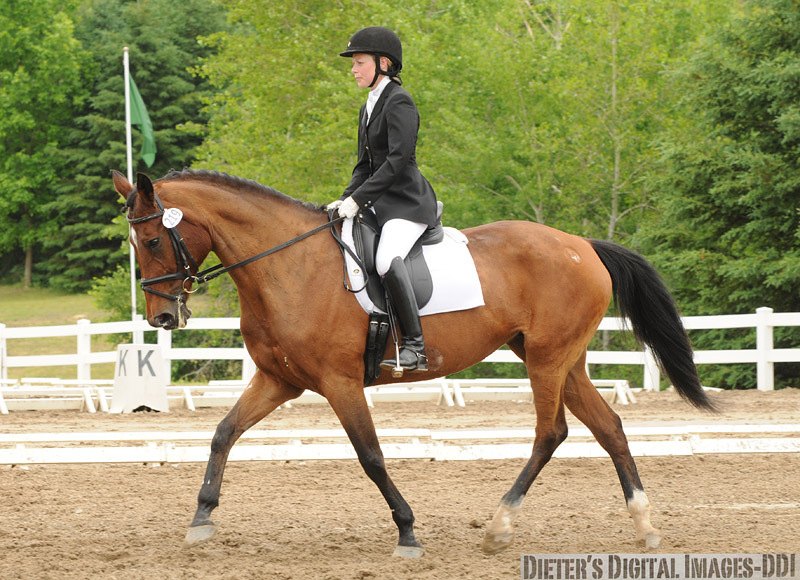 Ute's students have a history of achieving winning results in all spheres of dressage, including Adult Amateur, Junior, and Young Rider, and at all levels of competition from local to National to International! Ute has the skills and experience to take students from total beginner all the way to the elite levels of the sport. 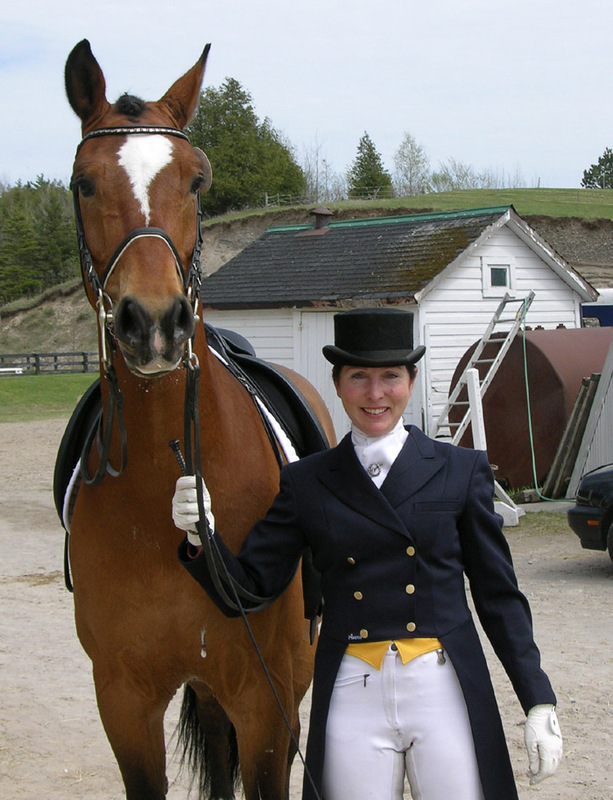 Well-known for developing Junior and Young Riders, Ute has coached a number of Juniors and Young Riders to positions on the national teams representing our country at the North American Junior and Young Rider Championships. 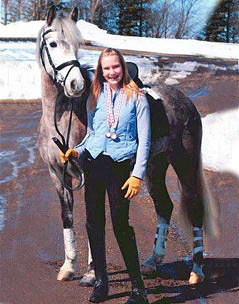 This includes both of her daughters, Tina and Sarah, who are now successful Grand Prix riders. Tina is now married to Jaimey Irwin and operates Stoney Lake Equestrian together with her husband, and rode for Canada at the 2011 Pan Am Games, winning a Team Silver Medal. Born in Germany, Ute began riding at the age of six. She was first taught by her father, Bruno Klann, and credits coach Hermann Rahlenbeck as another of her earliest influences. 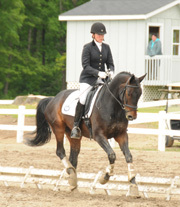 Before moving to Canada in 1982, Ute successfully competed in both dressage and eventing in Germany. Ute has enjoyed competitive success with a number of horses throughout the 1990's all the way through to today. Her equine partners have included Dillon, La Diamo, Dover, Maximus, and her current mount, the Dutch gelding Lindor's Finest (co-owned with Sally Carlton). 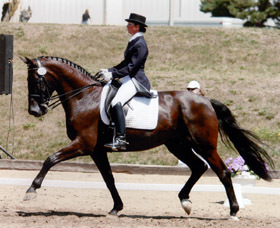 With Lindor, Ute has competed at the Grand Prix level Nationally and Internationally for the past 4 years, and the duo was declared for the 2012 Olympic Games in London England. Contact Ute today to talk about how she can help you achieve your goals, whether it be lessons, dressage training, or finding you the right equine partner! Sonnenhof is simply a great place to be! Happy horses, fantastic coaching and great people. We have experienced 10 incredible years with Ute, where she has guided and transformed both my daughter, and her mounts, into very successful dressage partnerships up to the FEI level. We are excited for the future knowing that under Ute's guidance, great things are not only possible, but imminent. Passionate, encouraging, talented and dedicated are a just a few words that come to mind when I think of Ute. I've been lucky enough to ride with her for the past eight years, and it's thanks to Ute's coaching and training that my horse and I have come so far and continue to progress. Ute is committed to her students succeeding and reaching their goals, and she goes above and beyond every day for all her students and horses. I came to Ute about eight years ago looking to reinvigorate my interest in riding. The field hunter I'd owned and ridden for close to 20 years was ready for retirement and I needed a new challenge. 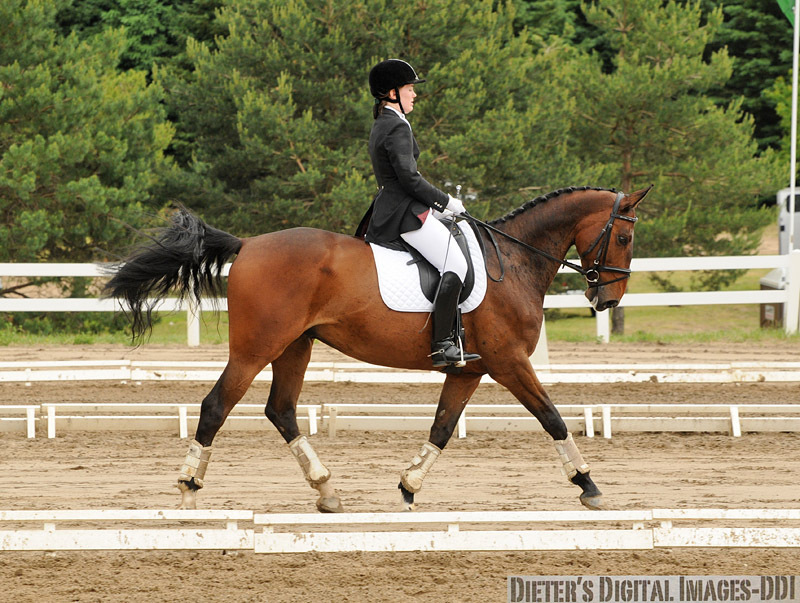 I thought, why not try something completely different and take a few dressage lessons? Well, "a few dressage lessons" has become much, much more - thanks to Ute, it's become a passion. I am now the proud owner of a wonderful horse that Ute found for me. Like me, my horse is making the change from jumping to dressage and under Ute's tutelage, he improves daily. Ute's experience and knowledge has given her the skill to know how just far to push both of us. In short, she's the best! A brilliant trainer, internationally successful competitor, and talented, dedicated coach; Ute is a gifted mentor for students and horses at any level. I have had the privilege of Ute's coaching for the past 5+ years and have celebrated some of my greatest personal and competitive victories as a result of her focused, disciplined approach. I am thrilled for the future of my horse as each day it seems she learns something new, gains confidence and enjoys her abilities more. Ute teaches riders to feel and train and develops horses to the best of their abilities with reinforcement of a solid foundation in the training scale and dedication to each combination's goals. Every moment spent with Ute, at home or at the show, is a learning opportunity and one to be enjoyed alongside her positive outlook and sense of humour. Her devotion to the sport and to her students is fierce and her horsemanship and ability to develop horses is truly inspiring. I have been riding with Ute at Sonnenhof for a few years now and love it. As an adult newcomer to dressage I have particularly appreciated that Ute and her family and clients have been very welcoming and supportive from day one. I ride her wonderful school horse Bam Bam, who is schooled to Prix St. George and is very patient with me. With Ute's keen eye and feedback I'm improving my body awareness and am better able to influence the horse. I've noticed that Ute and her staff pay close attention to the care of each horse in the barn and don't cut any corners or take any chances with their health or soundness. One more great advantage to riding here is that the indoor arena is never crowded - amazing! 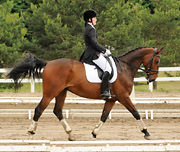 Between the quality of coaching, care of the horses, and reasonable prices, Sonnenhof is a wise choice if you're looking for a new place to board your horse or learn dressage. Beginners and grand prix riders alike ride side by side here, how cool is that? Ute has taught me everything I know today about horses. 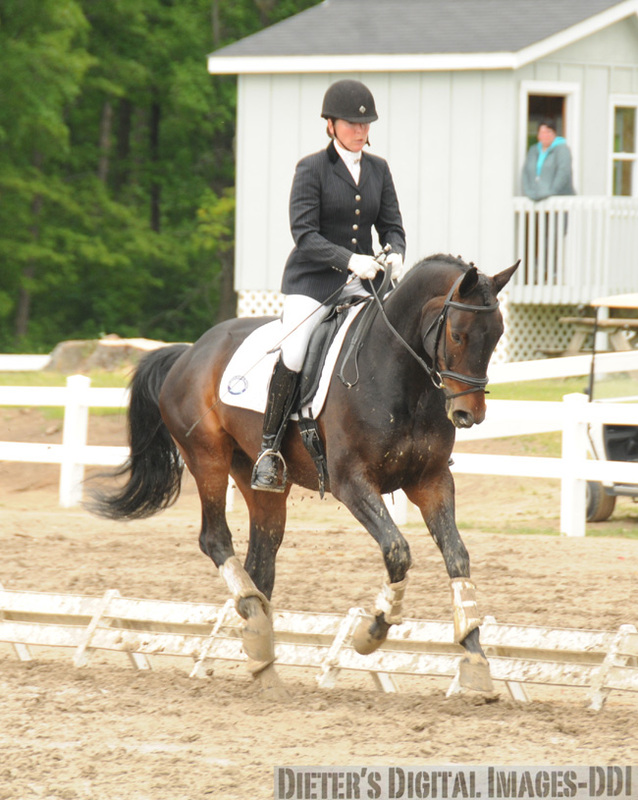 From the essentials of care and maintenance, to riding and competing at the FEI level. Without Ute's dedication and knowledge of the sport there is no way I would be where I am now. Thank you Ute. Ute is simply the best. As an instructor, her patience, and respect for safety, is unparallelled. As a coach, her track record speaks for itself with a myriad of riders competing at every level. She is kind and consistent to the horses at her facility, never rushing or overworking them. 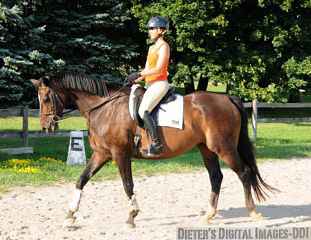 She has an amazing ability to bring out the best in each horse, and each horse visibly wants to please her. Ute is a woman who truly dedicates herself to the improvement and success of her riders and horses. She gives fully of herself in every training session, to every horse, and every rider, regardless of their level or ability. There are many riders and horses with successful amateur careers in the dressage world, and they owe those successful careers to Ute. Ute is an inspiration to all who come in contact with her. Her dignity, integrity, and humility, are star quality.There are precious few trainers, teachers, or facilities that I recommend, but I recommend Ute Busse without a moment's hesitation. 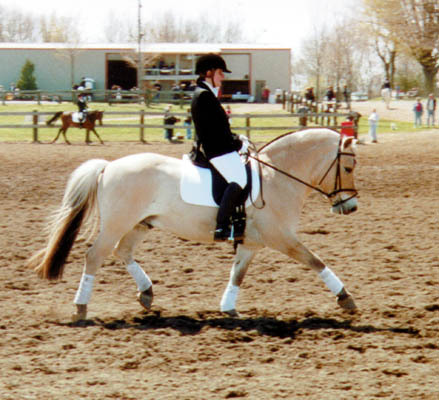 Ute coached me from never having ridden dressage before, to successfully competing my Fjord horse gelding Prisco at Third Level, winning Champions and Reserves at National shows! I like that Ute is very open and supportive of working with non-traditional breeds in the sport of dressage.